Since the Ntec staff is locally based, response time to your needs and requests happen more quickly than with an out of town technician. In many cases, our professionals may already be on site to install your new TV and Broadband services which makes set up & installation of corresponding TV’s or computer equipment more convenient and economical for you. What’s more, when you support Ntec , you help make your customer-owned cooperative financially stronger. That pays off for you as a cooperative member. Give us a call for an estimate on Ntec services and to schedule a convenient in-home appointment. You can also stop by our office for more details. 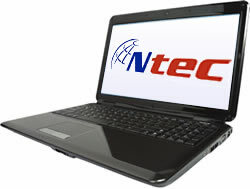 Your TV and computer equipment will be in good hands with the Ntec professionals. They have the training to expertly take care of your technology installation and set-up needs. If you’ve ever priced technology services from a national chain store, you know they can be expensive. Why pay more than you need to? All of our Ntec services are available at affordable rates that are lower than you’ll get anywhere else. Contact us now for a fast, free estimate. A wireless network gives you the convenience of being able to go online from any room in your home (or even from the backyard patio). You no longer need to be limited to working in your home office when you want Internet access. And your guests will be able to use their laptops and other wireless devices as well. Set up and configure your home computer’s wireless network connection with our DSL modem. Connect a compatible wireless router that you purchase from us or on your own. Enable wireless encryption which allows you to wirelessly surf the Web knowing your data and Internet connection are secure. With Fiber To The Home, the sky is the limit for our Internet speeds. Given the rapid progression of computer-related technology, you’re probably replacing your PC and peripheral equipment every few years. If you don’t have the time or experience to handle the set-up of this technology on our own, let Ntec do it for you. Set up your PC including the monitor, keyboard, speakers, and peripheral devices. Configure your existing Internet configuration and email accounts. These days, there’s much more to home entertainment than simply a TV — you probably have several pieces of equipment that need to work together in order for your family to enjoy favorite programs, movies, and video games. And while having these entertainment options are fun, setting up the new equipment can be daunting. Let Ntec come to the rescue. Install customer-provided wall mount attachments for a TV. Connect your new TV to additional devices. Sign up for our HD (High Definition) programming to enhance the clarity of your viewing experience.